Mallorca is probably one of the most popular islands in the Mediterranean for European tourists who are searching for the winter sun. 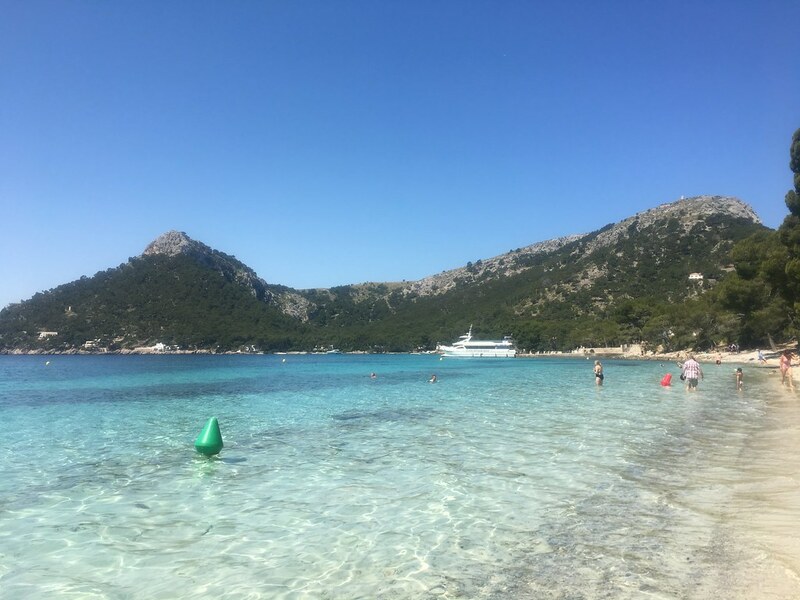 After I’ve told you which are my recommendations for non-touristy things to do on the island, I have asked my fellow bloggers to tell me which are their favourite the best beaches in Mallorca. Because don’t we all travel to Mallorca searching for those paradise looking beaches with soft sand and azure sea, that make us believe we are in the Caribbean and not in Europe? Mallorca beaches are special because for such a small island, the diversity is huge! There are rocky beaches, full of pebbles, surrounded by cliffs. There are sandy beaches with azure blue waters safe for swimming. There are small beaches, there are large beaches. There are secluded beaches and popular resort waterfronts. 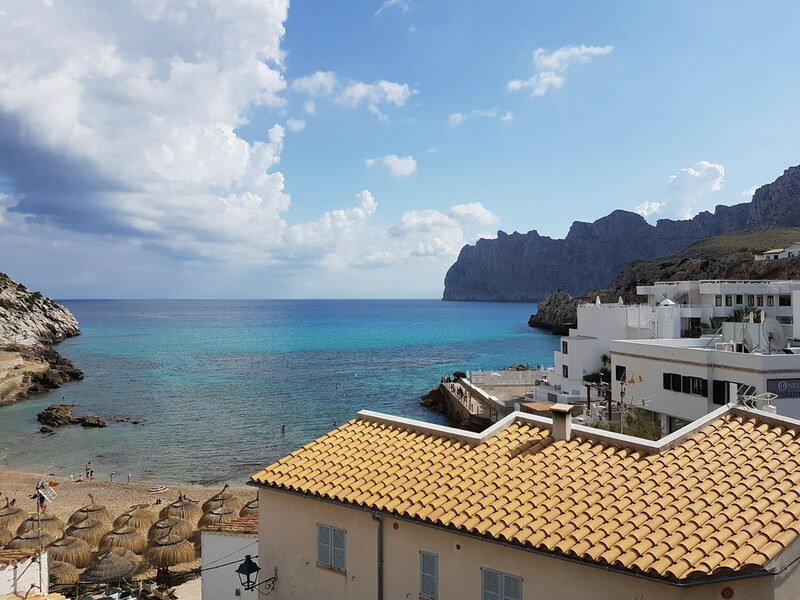 In this article you will find a selection of all, including some of the most beautiful Mallorca hidden beaches that nobody tells you about, to which you need to hike to reach. 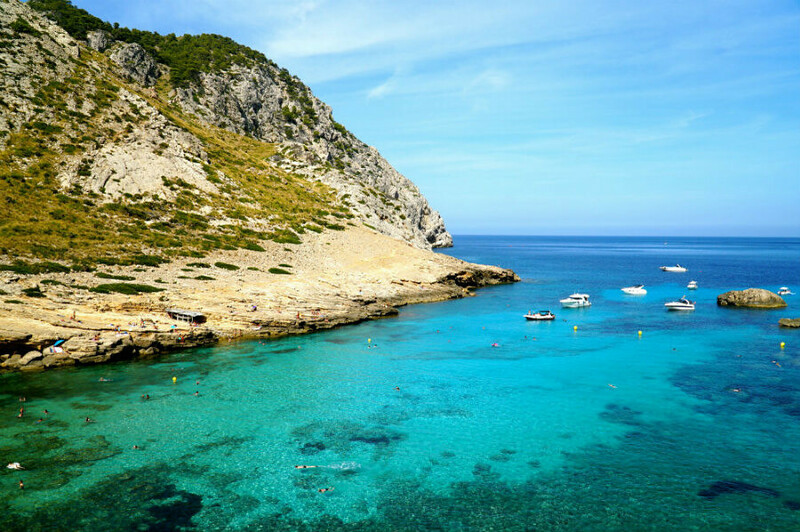 My personal favorites are Cala Boquer and Sa Calobra. Cala Boquer is a hidden remote beach which you can reach only if you hike 7 km through the mountains behind Port Pollensa. The sea here changes colours, starting from a beautiful turquoise close to the shore, passing through different shades of azure until it reached an intense indigo as it goes reaches the point where it looks like it touches the sky. The path is not hard to hike but you do need good shoes because it’s quite rocky. 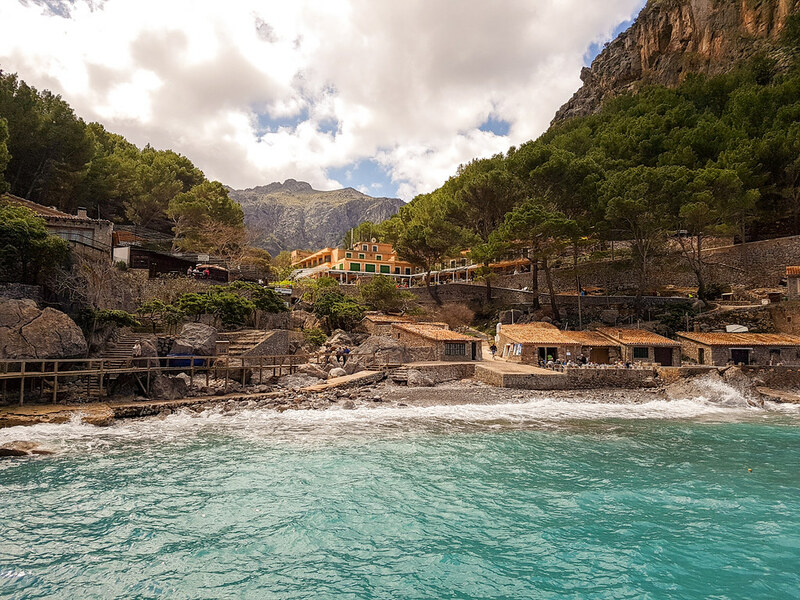 Sa Calobra is a hidden gem that you can reach by bus or by car only. The road going to Sa Calobra is spectacular, with over 50 curves cutting through the mountain, most of them hairpins. I would recommend to take the bus if you are not an experienced driver as this is a very challenging road. Sa Calobra is tiny, with a beautiful tiny beach in front and a hidden lagoon that you can reach by going through a narrow tunnel carved through the rocks. Cala Barques is beautifully tucked away between the rocky cliffs of the Tramuntana mountains in the North of Majorca. It is a pebble beach that neighbours the Cala Clara and Cala San Vincente and is famous as a snorkelling location. If you are not used to walking barefoot on pebbles, buy a pair of water shoes at any of the small tourist shops to make your way into the water a little more comfortable. You don’t need to venture far in before you are surrounded by an abundance of fish. The natural reef that literally starts just a few meters off the beach offers a bright and colourful display of marine life. The rocky cliffs nearby are also great for cliff jumping from a height of about 30 feet. Since we gained knowledge of this beach we’ve been here 4 times and are definitely going to visit there again. Whether you want to snorkel or jump off a cliff, you will not be left disappointed. If you are a fan of the ocean and the water is your thing I would absolutely recommend a visit to Cala Barques. It is definitely a ‘not to miss’. Located in the south of Mallorca, is a protected paradise called Caló des Moro. While exploring the island of Mallorca, this was the most stunning beach that I encountered. What make Caló des Moro so special is its isolation and the lack of development. There was once a plan to build a hotel here but the foundation that protects the beach, stopped construction. The sand area of the beach is short, so this really is a beach for swimmers, not sun bathers, but the clear water makes up for that. In the Summer months, it can get a little crowded so best to arrive early. Or if you want to just enjoy the view, visit in the off season, like I did in February. I can call Mallorca home, having recently relocated from gloomy Northern Spain (love you though Galicia!) to smack in the North of this treasure island, and I’ll tell you that the sun, sand and brag-worthy crystalline Mediterranean waters have been such a breath of fresh air to this California native. Though living in Spain coming up on two years, I’ve only been on this isla for the past two months, but don’t doubt my skills of discovering in a short time frame. I’ve been exploring via car, bus and especially Motorbike/scooter to find the best spots, the ones with something special, the ones that leave you oh so satisfied. Can you really “know” Mallorca’s gems if you don’t leave Palma? That’s easy: NO! So get yourself on some form of transportation y Vamos, vamos a la playa: Cala Pi. 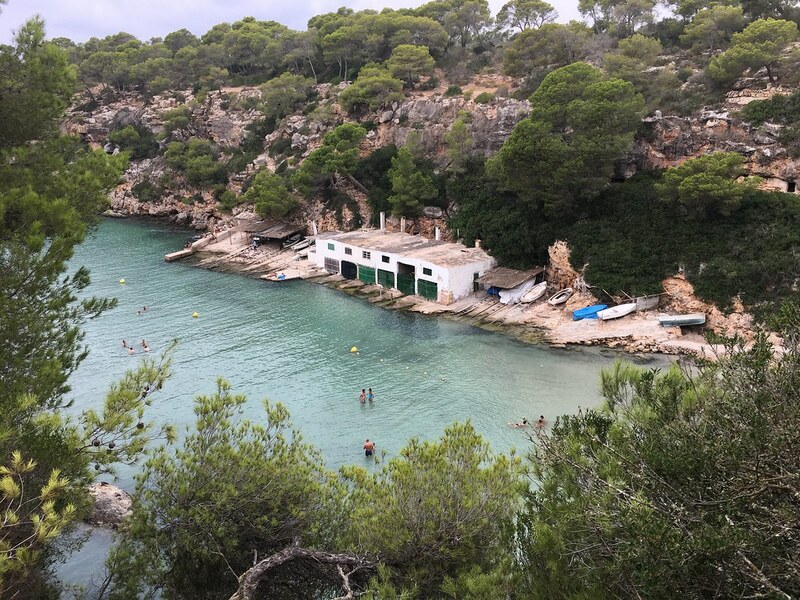 Just 45 minutes east of Palma, you can fly over to Cala Pi and take the staircase down down down to the cove, though your jaw will likely be dropping all the while, Cala Pi Stuns! It can be crowded given its proximity, but if you visit on a cloudy-ish (rain sprinkles too) day like I did, the crowds disperse to nearby bars. Swim, tan in between drops of summer rains, and stay for a while. Even well into late October/early November it can feel like endless summer, so get here! I spent my time in Mallorca exploring the north-eastern region of the island. By far, the best beach I visited was Playa de Formentor, which is located in one of the northernmost areas of the island. Formentor is a nice sized beach, not too big or small. The water is the most gorgeous electric blue color, and totally crystal clear. Dozens of pine trees are lined up behind the beach, so the air has this amazing combined scent of fresh pine needles and ocean water. In the distance, you can see the coast of Menorca. The only downside to Formentor is that it is slightly difficult to get to. The hotel on the beach is highly expensive, and few busses depart and return daily from nearby towns. This will not be a problem if you have a rental car. You can also take a taxi or a half-day bus tour to the Formentor region! Formentor is a true paradise and is by far the best beach I visited in Mallorca. Make a visit to Playa de Formentor a priority for your next Mallorca trip. 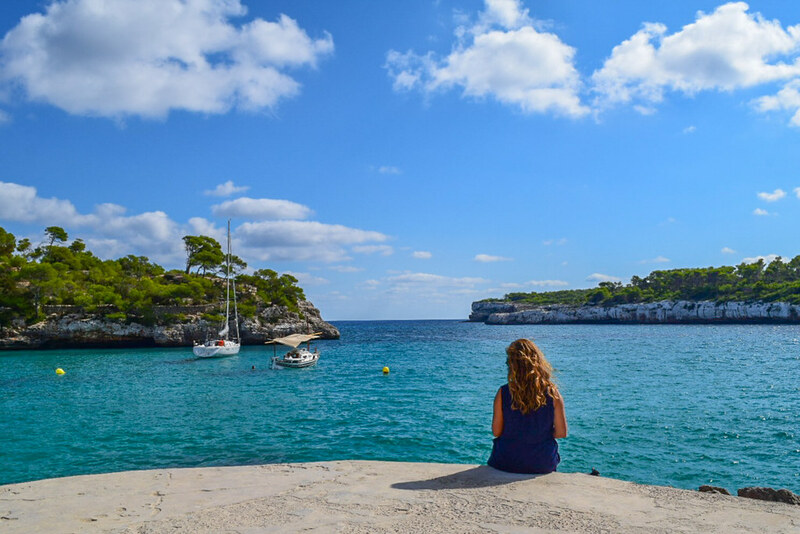 Mallorca´s beaches and calas are one of the most beautiful ones in all of Europe.This definitely makes it hard to choose one favorite beach, however, I found one beach that has become my favorite and which should be on your Mallorca itinerary as well. Cala Mondrago, located in the Mondraga national park on the south-east coast of Mallorca, has a beach that does not impress in size but in gorgeousness. After you have parked your park in the car park (parking costs about 5€) you need to walk a few meters before you arrive at this stunning place with water that is so clear it is almost scary (as you can even see the little fish). There is a sandy beach – with sand so soft and white like you expect it from the Carribean – but if you walk around it you´ll also have the small cliffs where you can hop into the water. The beach is, and this does not come as a surprise, quite crowded but given its beauty, it is understandable and acceptable. I recommend packing your bags and spend a relaxing day at Cala Mondraga – p.s. if you forget to bring your snacks or enjoy restaurants with a view, you´ll find some dining options just at the beach. Driving along the coast of Northern Mallorca on Cap de Formentor, my family and I came across one of the most stunning beaches we’ve ever laid eyes upon: Cala Figuera. We had set out to drive to the lighthouse of Cap de Formentor, taking in the dramatic coastline that so defines the North. Spectacular views are a given on the cape, and my eyes – being in the passenger seat – were glued to the Mediterranean Sea from way up high. Suddenly we rounded a bend and down below I spotted the most electric blue water and told my husband, almost in a panic, to pull over. We found a parking lot and next thing I knew we were hiking down a craggy path to Cala Figuera, an absolutely exquisite cove with the most beautiful aquamarine water. The water is so clear and turquoise, we jumped in as soon as we made it down. Like many beaches in the more rugged parts of Mallorca, it’s not a sandy beach, but a rocky and pebbly one. That didn’t bother us in the least, though, as it was one of the most serene spots of our entire vacation. 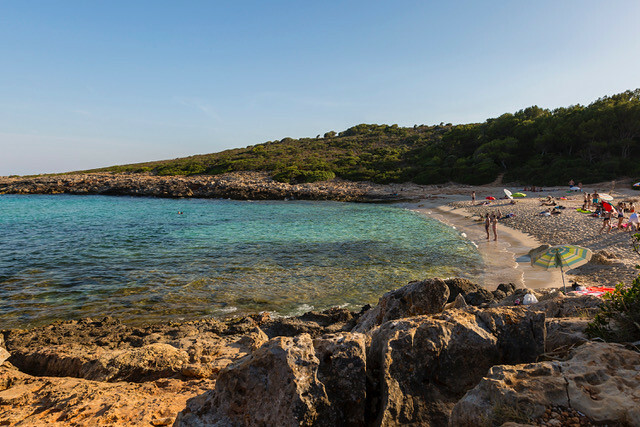 For an off-the-beaten-path and striking beach, head to Cala Figuera. One of Mallorca’s beautiful hidden beaches is Cala Varques in the South-East of the island close to Manacor. From the main road, where you can park the car, you have to walk around 40 minutes along a cobblestone road and through a forest to get to the pristine beach and crystal clear water. You won’t find the big crowds down there, but don’t assume to have the area completely for yourself. If you’re not used to sun exposure, bring your umbrella with you, because you won’t find natural shade at the beach. 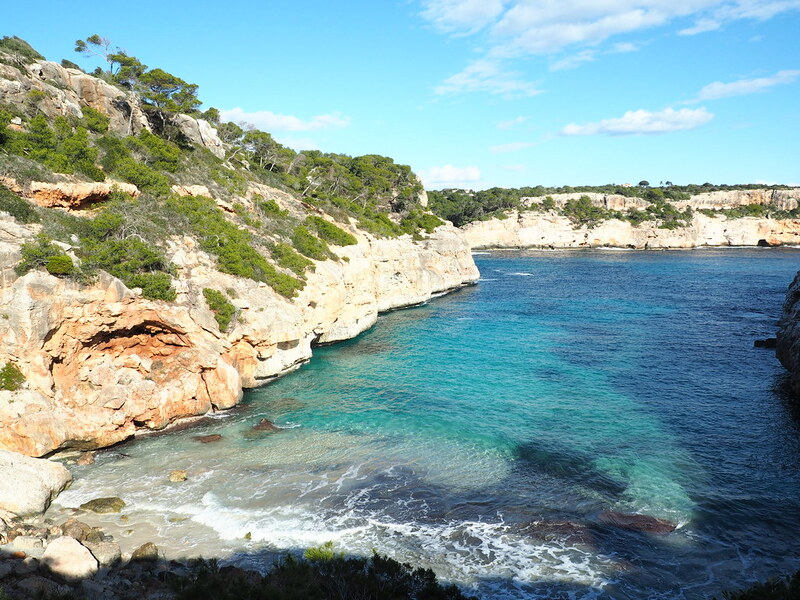 You can explore the coastline of Cala Varques and will discover a beautiful lagoon with turquoise water only a few minutes walk from the beach. Another short walk away from the lagoon you will find a natural stone bridge which is the perfect scenery for a photo. A few guys run a bar at the beach where you can buy water, crepes or even cocktails. 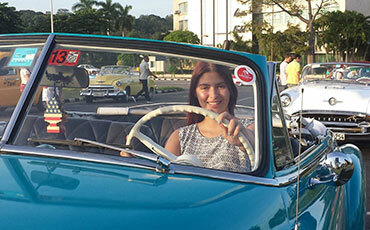 To have the full adventure, stay there for the sunset and enjoy a Mojito. Disclaimer: Some of the links one this website are “affiliate links.” This means that if you click on the link and do a purchase, I will receive an affiliate commission at no extra cost for you. This helps me keep my website running and continue to share my traveling knowledge with you. I thank you for booking your flights or hotels using the links on my website. Regardless, I only recommend products or services I use personally and believe will add value to my readers. Traveler. Dreamer. Cat lover. Wondering around the world with my backpack and my camera. Contributing to make the world a better place. While I’m stuck in snow, your post has greatly warm my soul. I love beaches and warm weather and these beaches look fantastic with their bright sky and blue waters. This looks like a nice place to explore, rather than packed beaches. The beaches come across as quiet and more peaceful than the traditional sun beach. Looks nice. This trip looked an unforgettable adventure. I love that you shared the hidden beaches and sea of colors. Pretty amazing! If I only had the cash to actually travel to Mallorca,I would print out this entry and visit each spot,as long as they didn’t mind me bringing the cheetah with me…..
Wow I absolutely adore your gorgeous photographs!! !what a beautiful place this is and I would love to visit here someday with my family. Such beautiful beaches! 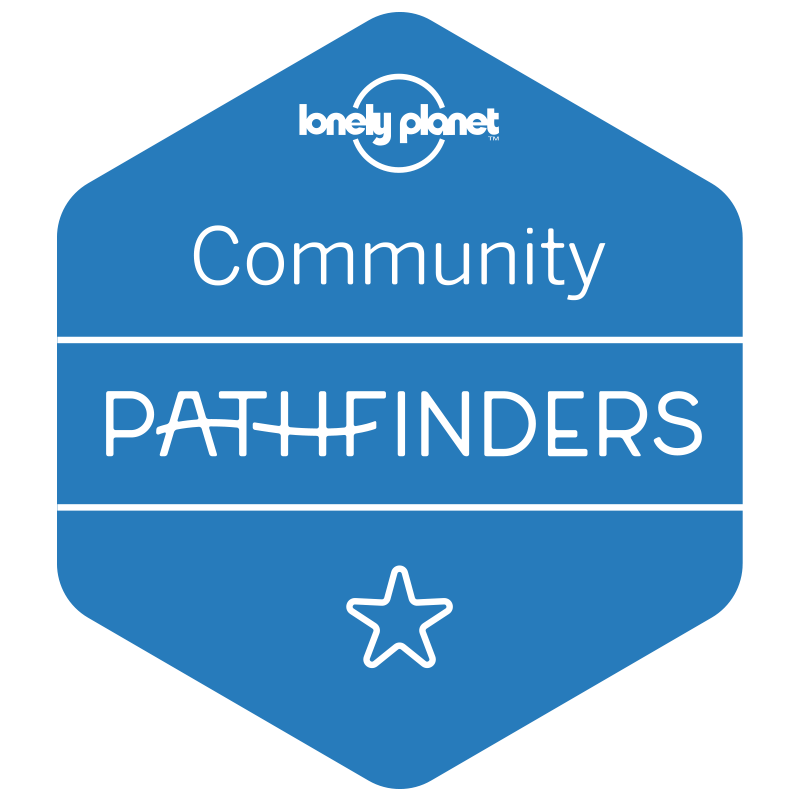 I have never been to Mallorca but I am in talks with my friend to go on holiday this year with our partners and kids and Mallorca is on the shortlist. I shall be sending this post over to her as I’m definitely convinced that this is where we should go. Mallorca is one of my favourite islands and I have lost count of how many times I have been there. The beaches are just so beautiful. My goodness. These beaches are just beautiful! I’m headed to the Bahamas in December and that is probably as close to water as clear as you have that I will be! So gorgeous! These beaches look stunning and amazingly beautiful. The gorgeous photography made me want to plan a vacation. So many beautiful beached in Mallorca! I’m loving Sa Calobra beach. Looks beautiful there! 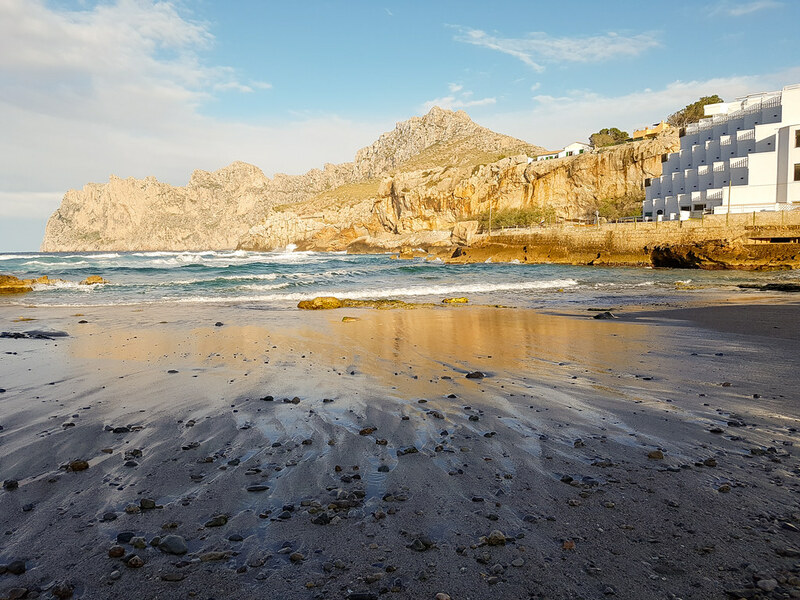 I think my favourite beaches from your list would have to be Sa Calobra as the remoteness and quietness is very appealing. Oh wow! Wrapped up in my dressing gown and PJ’s these pictures are making me feel better! These photo’s are all gorgeous and there’s not a single beach here I wouldn’t say no to. While they all look fantastic I’d put Cala Mondrago at the top of my list! My mummy used to go on family holidays to Mallorca when she was little and remembers the lovely beaches. Its making her want to book another holiday! Stunning photos! I’ve never been to the Mediterranean Islands, and I’m very intrigued by Mallorca. Playa de Formentor would definitely be my favorite beach too. I haven’t been to Mallorca and this post makes me want to go. I agree, I love Cala Boquer and Sa Calobra! What a beautiful and stunning beaches. I really want to visit all of this beaches. I will definitely add this to my travel lists. Wow those are beautiful!! I’m stuck in the snow here in my town and I would love to experience those beaches right now! They’re all so different and all so uniquely beautiful. Sa Calobra looks so cool! Ah how I love Mallorca. I must admit that I didn’t really leave Palma Nova and Magaluf – but next time I go back, I”ll venture out of my comfort zone. Great inspiration. I have never been to Mallorca before but now I really want to because those beaches are absolutely gorgeous. 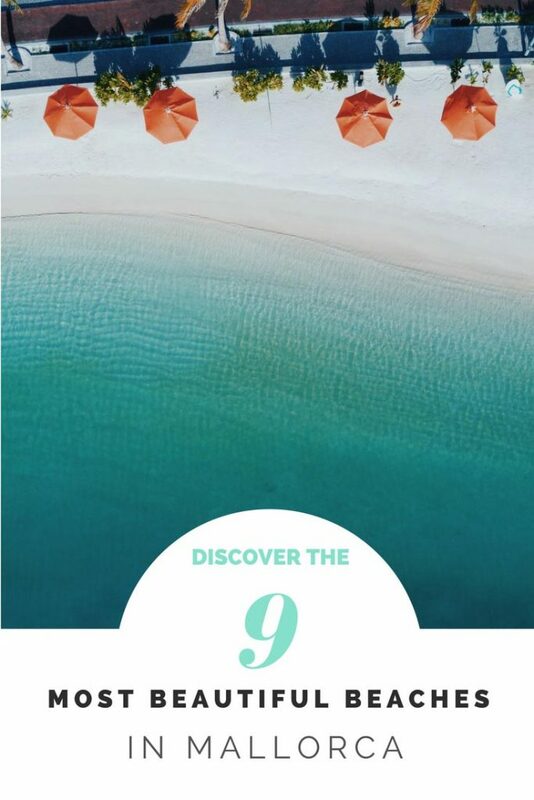 This reminds me of the beaches in Greece where we went for our honeymoon…such clean and serene waters..loved the photos..
What a wonderful list of places! We travelled to Mallorca two years ago, in October and it was amazing! I have loved the island, even though we didn’t explore much, we had a toddler and a baby with us, and all we wanted was find peace and rest, and we had plenty!! Oh wauw amazing pictures (and beaches). Great post – pinned for later! I’m pinning this post for later! I went to Mallorca at the end of winter when it was still a little too chilly for beaches. Now I want to head back during beach season and check out all of these spots! I have never visited Mallorca but always thought it was a beautiful island and that there was more than just the tourist centre. All those beaches look amazing and some look so remote. It’s good to get away from the crowd. We are planning on visiting soon. It’s on my wish list. I mean just look at those beaches! Some look so secluded and positively private. Get me to one of those beaches NOW! Your post has made me start dreaming of the summer. The photos are really beautiful. The water is so blue and clear! I want to go! The cliffs in Caló des Moro look amazing and peaceful! It looks like you had a fantastic time! Breathtaking photos! <3 I've been to Mallorca and enjoyed it so much, but I guess I need to go back, there is soo much more to explore! Such a pretty post! I have been wanting to go to Mallorca. I’m going to pin this to check out again once I book it! Love your photos! This area looks so beautiful. Definitely pinning for future reference. Great post and beautiful pictures! Mallorca has so beautiful areas away from the touristical places. Unfortunately, I just been there one. I had seen a lot of shows featuring people buying beach houses in Mallorca and I did not understand all the fuss. However, with all these pictures and descriptions I can finally see the appeal! I particularly loved Cala Mondrago. The colour of that water is surreal! The beach is always a favorite destination. I didn’t know Mallorca had so many! I love the blue waters at Cala Figuera. I’m saving this for a future trip, thanks! These are the types of beaches I dream about. So beautiful! Out of all of them though I think Sa Calobra would be my favorite. I love a good secret. I love this list, I lived and worked in Mallorca for 4 years and it’s one of my favourites places on planet. Seeing the beautiful images on your post and reading about each of the beaches gets me away from my winter blues. I am more of a mountain person but Mallorca is too good to refuse. The place looks heavenly. The beautiful lagoon with turquoise water and the coastline of Cala Varques are out of this world. I never knew Mallorca boasts of such fascinating beaches. This post is a treat for the beach lovers. The blue waters at Cala Figuera and coastline of Cala Varques got my eyes for sure. After this post, I think I am convinced that Mallorca’s beaches and calas are one of the most beautiful ones in all of Europe. I have never actually been here but wow! All of those beaches look absolutely stunning. I am definitely going to have to go and see all of those beaches. Your pictures are stunning. Thank you for sharing.